Welcome to New York! The city that never sleeps is known universally. Just about everyone was brought up with televised visions of New York from a young age. So it is hard not to have some expectations, and while some of these hold true, this city has still has plenty of surprises to amaze you. Manhattan moves at a fast pace and you will quickly get caught up in the exciting hustle and bustle of the busy New York streets and subway cars. Attractions are at every turn – think Wall Street, Central Park and the Empire State building. Theatres fill Broadway and spill out into the surrounding streets. And then there is the museums and galleries that showcase every aspect of this unique urban environment. In Manhattan there are endless places to explore but the following places are some of the best that can be seen for free. Battery Park is located on the far south of Manhattan. It is a long strip of parkland with stunning views of the Upper New York Bay with the Statue of Liberty just visible in the distance. If you want to take a closer look take the Staten Island Ferry to Staten Island and back. It is free and you don’t need a ticket. Beware the tour sellers situated near the ferry and subway stations. They are generally overpriced or just scammers. If you want to go on a tour to the Statue of Liberty, book it beforehand online. 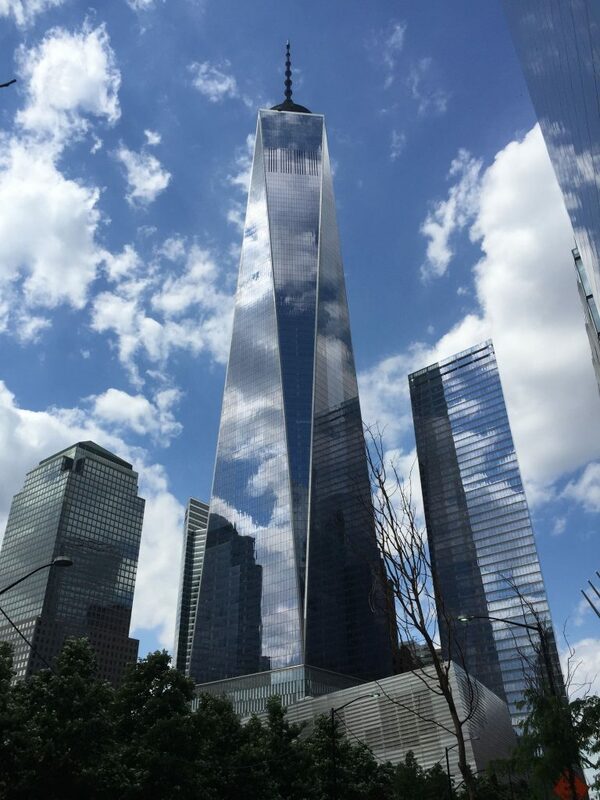 The 9/11 Museum was opened in May 2014. It has a number of exhibitions based around the events before, during and after the September 11 terrorist attacks. There are artifacts, video footage, recorded news casts and personal accounts from the day. There is also a room of memoriam for remembering the deceased. It is a very informative and sombre exhibit and should be visited by anyone that seeks a wider understanding of the most significant event in the recent history of the United States. The 9/11 Museum generally charges $24 for entry but on Tuesday’s after 5pm the entrance is free. You will require a special ticket and tickets are for a specific entry time. Some tickets are made available online and can be reserved but most are available on site at the museum. If you are picking up a ticket at the entrance it is recommended that you arrive early as it gets busy. The UN Headquarters is always free to enter and inside you will find their latest exhibit in the main foyer and sculptures in the garden near the entrance. But the most interesting thing to see is the general assembly. The UN general assembly has been pictured in countless movies but nothing really prepares you for seeing it in real life with each country’s representative taking their seat and discussing world issues. Be prepared before you go as the security requirements are strict. Take your passport for identification and ensure that you are not wearing anything with a political message (a gentleman got turned away because of his Donald Trump t-shirt). Take only small bags and leave anything that you wouldn’t take on a flight at your accommodation. Central Park is always free to enter and is open 6am-1am. 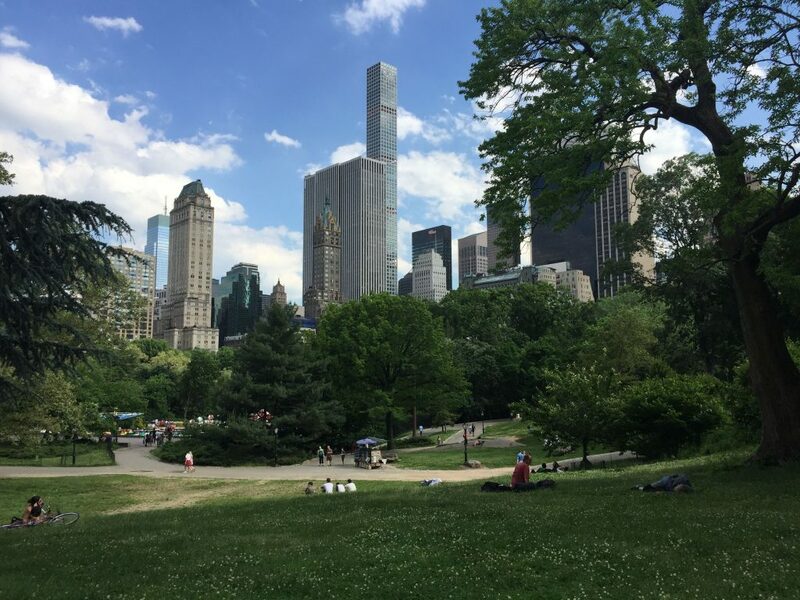 The park covers a large portion of the centre of Manhattan and is large enough that you can always find a quiet spot. There are lots of walks through the grounds which are dotted with statues of noted figures along the way. The park can also be a great place to grab an ice cream and people watch. The Grand Central Station is an undervalued free place to visit in New York City. I recommend going to the main concourse and just watching the people rushing through. For great photos go to the Apple store on the top level and stand at the centre of the top of the staircase. 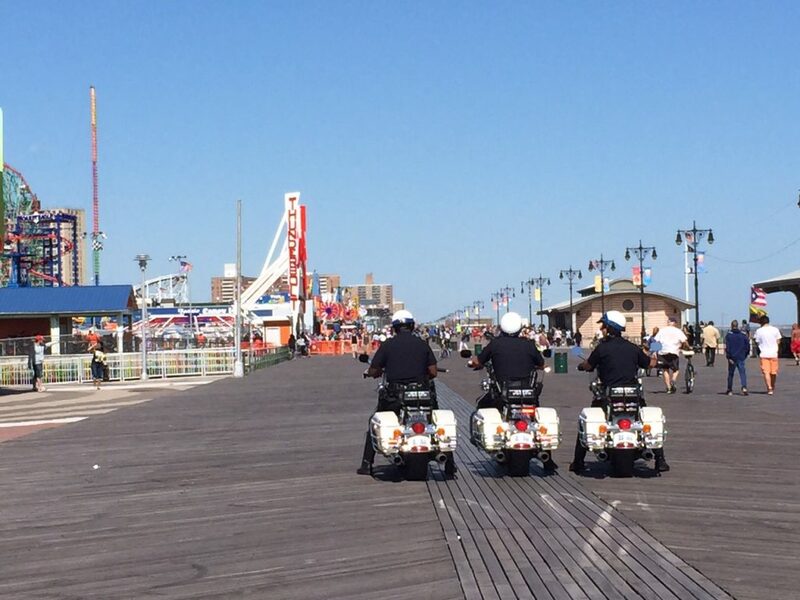 Coney Island is often fondly referred to as the ‘nation’s playground’ and most native New Yorkers have childhood memories of this beachside paradise. There is lots for adults too so if you have a spare day in New York it is definitely worth the trip. You can catch the subway to Coney Island from Manhattan or Brooklyn and the Coney Island station is right next to the action. Luna Park is the famous theme park that is situated parallel to the beach, separated only by the Coney Island Boardwalk. The theme park is filled with rides and games with a big Ferris wheel giving a bird’s-eye view of the park and beach. The boardwalk is a wide stretch of timbered walkway that runs along the edge of the beach. If you have the time sit on a bench here and just watch the people stroll by. The area attracts all sorts so this is an activity in its self! The sand at the beach is soft and perfect for strolling, paddling or stretching out on a towel. Some people hang hammocks from underneath the boardwalk to the East of the beach at the jetty, which also makes a great backdrop for photos. If you fancy a dip in the bay the beach has patrols and it is always recommended to swim in one of these patrolled areas. 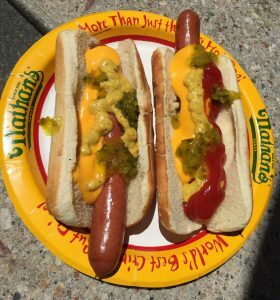 Before you go make sure you have a hotdog at Nathan’s Famous Hotdogs. Coney Island is the site of the original store where they have been serving the world famous hotdogs for 100 years. The Staten Island Ferry boarding area is above the South Ferry subway station at the South end of Manhattan. The trip is free and there are no tickets, you just board when the boat arrives. The ferry takes you directly past the Statue of Liberty so make sure you are on the right side to get a good view. On arrival at Staten Island you have to disembark the boat. If you wish to come directly back, you cannot stay on board but will need to disembark and then re-board. But why head back when there is so much to see in walking distance of the ferry terminal! Walking west from the Ferry terminal you can see across to Manhattan over the Upper New York Bay. 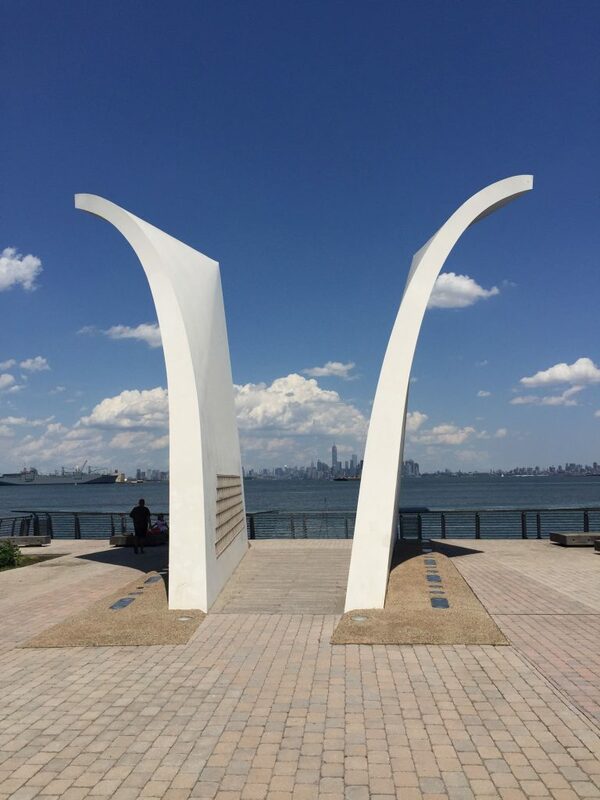 Following this pathway you will next come to the Staten Island 9/11 Memorial that commemorates those lost to the September 11 attacks. Each individual has their profile cut into the stone which is built into two wings that are designed to look like post cards. If you look directly down the centre of the two structures you will see Manhattan and the original location of the twin towers of the World Trade Centre. To the South of the memorial lies the Richmond County Bank Ball Park at St George which is the home ground of the Minor League Staten Island Yankees. If you get the chance you should partake in one of America’s favourite past times by watching a game of baseball. They are played regularly, just check online for the schedule. The subway is the best way to get around Manhattan and Brooklyn. There are frequent stops and there are MTA cards available for unlimited rides over a 7 day period for $31. Otherwise it is $2.75 per ride and a prepaid MTA card will be worth your while just to avoid the hassle of having to find the elusive ticket booths. 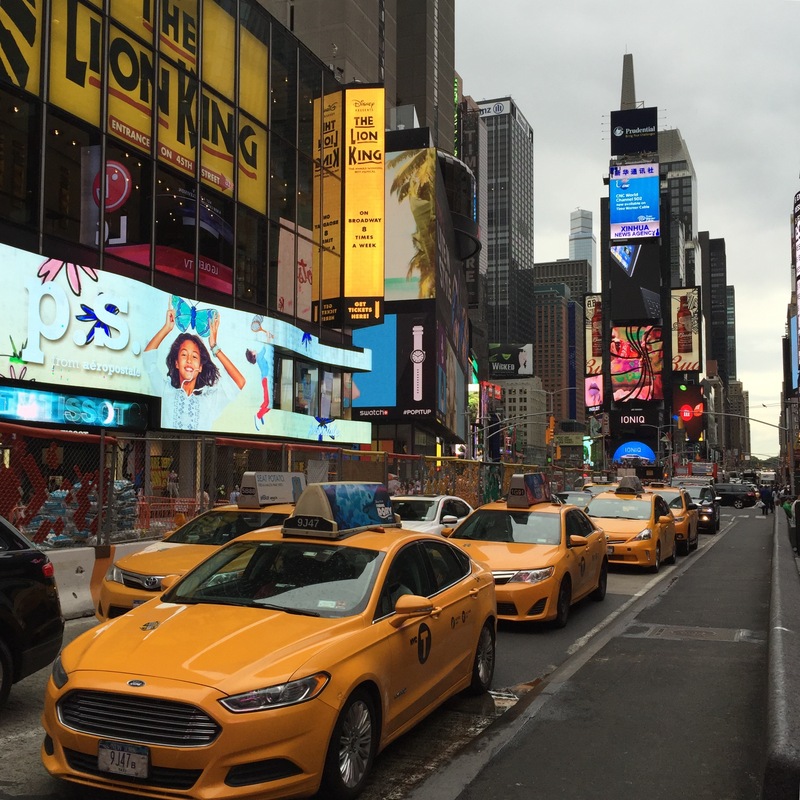 Take a famous yellow taxi around the busy streets of New York. Avoid travelling at peak times or be prepared to pay a high fare. Hotdogs! Pizza! Pretzels! Need I say more? Try the hot dog and pretzel stands on the street. They aren’t as scary as they look and they offer a real bargain. Look where the locals go if you are worried. Pizza places are spread across the city and pizza is purchased by the slice. The slices are huge so you generally won’t want more than 1 or 2. Hot dogs are the best local food and are often a bargain!